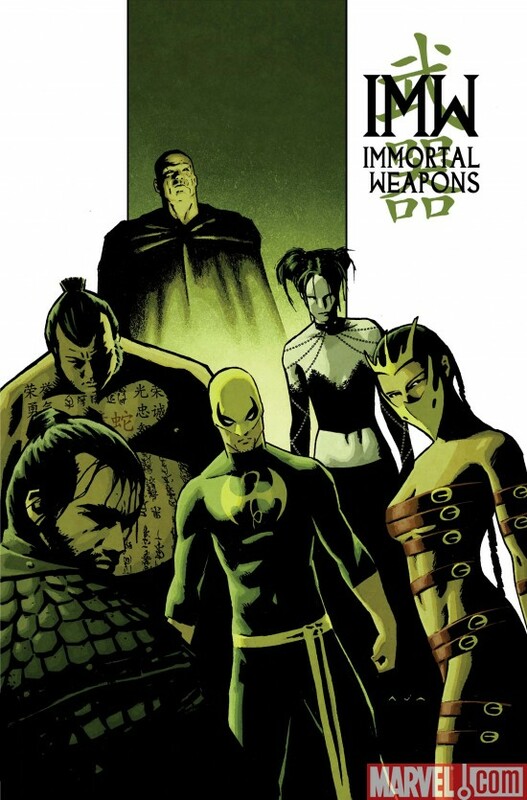 These are supporting characters that spun out of Matt Fraction and Ed Brubaker’s epic run on Iron Fist (more on that below), and so this book is disposable if you’re not a fan of that run. But it’s an essential companion piece for those who loved the original series, and several of the mysterious characters from that run get fleshed out here. This is essentially a martial arts anthology book, and so some tales stand up better than others, but all in all, this is a good kung-fu book. The Inhumans have been minor Marvel supporting characters since Jack Kirby and Stan Lee first created them for the Fantastic Four title in the mid 1960’s. They are a race of genetic superhumans that were created on Earth millenia by the Kree (Marvel alien race) to serve them. It never happened. The Inhumans have always been an interesting concept, but have always played second fiddle to the X-Men in the superhuman genetic monstrosities department, and they have often been pushed to the back of the bus as a result. Until recently. Over the past decade or so, Marvel has been slowly rebuilding the concept of the group, to the point where they’re an integral part of numerous Marvel storylines. 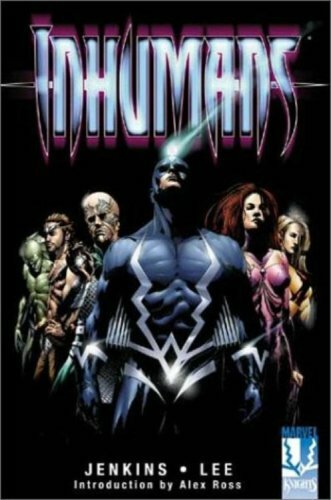 And it all started with The Inhumans, a 12 issue maxi series from 1998 by Paul Jenkins and Jae Lee. Paul Jenkins is one of the best writers in superhero comics. No question. However, as a plotter he leaves a little to be desired. Jenkins is a character specialist. He knows how to dig into the heads of characters like nobody else, and really gets to the essence of the people he’s writing about. Emotion is his trade, and he plies it well. The trade-off is that he takes 12 issues to tell 4 issues of story. But in this case I’m willing to accept it. Jenkins (with the help of the gorgeous art of Jae Lee), crafts an intense collection of character studies here, and really sets up what Marvel would do with these characters later on. The “outsider” angle is really pushed hard here, and Jenkins sets up Black Bolt (the leader of the Inhumans), as one of the great tortured heroes of the Marvel Universe. David Hine & Frazer Irving told a similar story a decade later with Silent War, but it’s one that’s just as effective. This is a transition story, one designed to set the Inhumans even further apart from the mainstream that most Marvel heroes operate in. While it didn’t get a lot of attention when it came out, it’s one that is integral story-line wise to the events that the Inhumans would be involved with later. Here is the truth about Iron Fist: He’s awesome. He’s a kung-fu master, he once ripped the heart out of an immortal dragon, and can summon his internal energies to make his fist indestructible. Cool, right? Wrong. 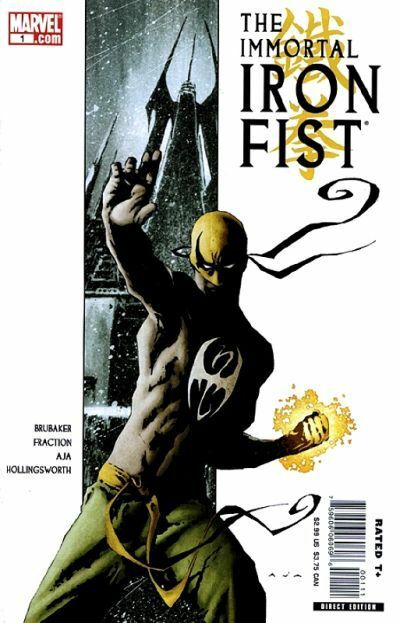 Despite his bad-assery, Iron Fist has never been what you would call a popular character, and is usually relegated to team-ups, bad mini-series, and failed team books. How Ed Brubaker and Matt Fraction convinced Marvel to let them create this under-read gem of a series I’ll never know, but I’m glad. This is pure kung-fu epic storytelling. Although the character is firmly set in the superheroics of the Marvel Universe, it’s the martial art side of the character that Fraction and Brubaker focus on here. Lost cities, epic kung-fu battles, and secret conspiracies: They’re all here. The origin of the Iron Fist isn’t redone here, it’s expanded upon, with the character’s history, mythos, and motivations made much clearer. Fraction and Brubaker turn the story of the city of K’un L’un into one of political intrigue, human rights, and magic, and really make us care about the character they’re writing about for the first time. Definitely one of the better martial arts stories that Marvel or DC has ever told, and the quality remained solid even after Fraction and Brubaker left the book, though it was cancelled not long after. This entry was posted in Comic Books and tagged Comics, Ed Brubaker, Inhumans, Iron Fist, Marvel, Matt Fraction. Bookmark the permalink.